Hi lovelies! I can’t believe I finally get to talk about my favorite hair care products. I’ve been so hyped on make-up and fashion lately, that I kinda neglected other beauty topics (#sorrynotsorry). 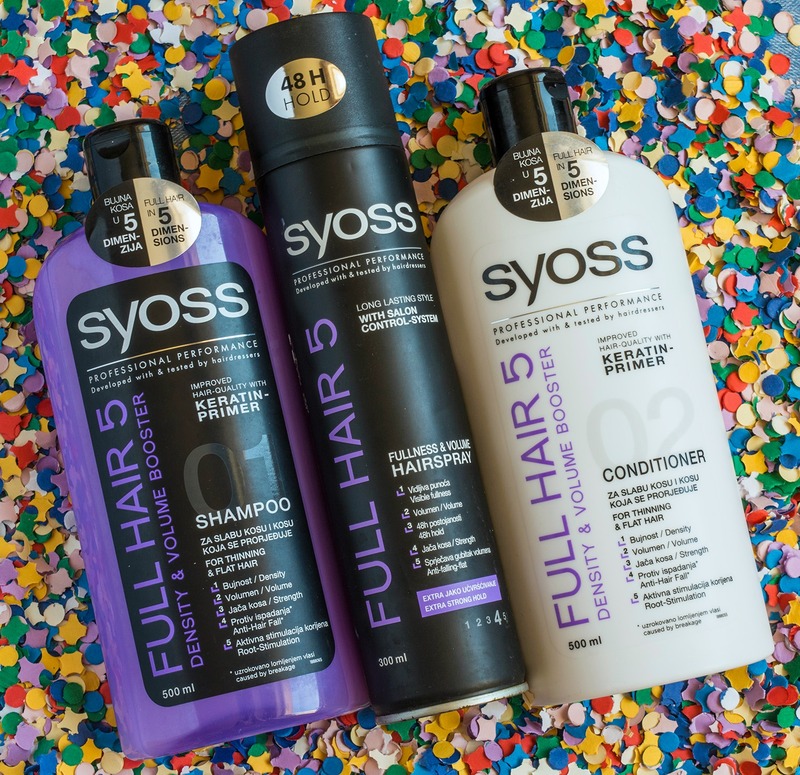 But I need to confess that I am madly in love with the Syoss Full Hair 5 collection. My hair has been happy, looking and feeling great, ever since I started using these products. The shampoo and conditioner help me get a silky, soft and glamorous hair, so they are essential in my hair care routine. I’ve always struggled to find a good shampoo for my oily hair. I mean, I tried a lot of different products, from many different brands, and they just didn’t work for my hair type. I would get greasy roots just a day after washing my hair, and I didn’t want to do it everyday either (because that makes it even worse). 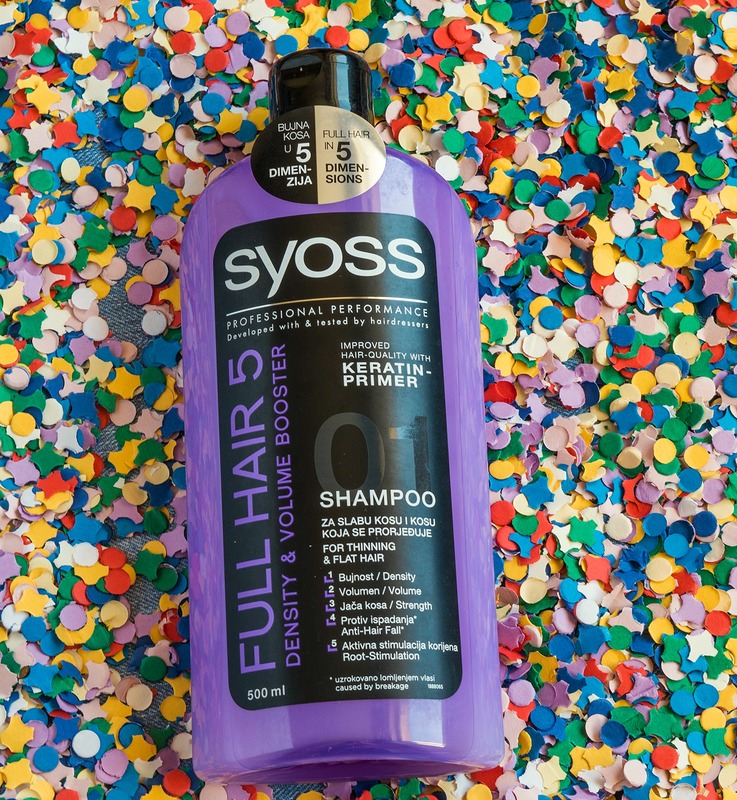 So the first time I tried a Syoss shampoo, I was really pleased. Three days after washing my hair with the Syoss Silicon Free Color and Volume, my hair would still look awesome, clean and fresh. Then I also tried Volume Lift, but it wasn’t as good as the first one. And then, the magic happened: I bought my first Full Hair 5 shampoo and I immediately fell in love. My hair had so much volume, it was silky, healthy and smooth. In a short amount of time, I decided to buy the conditioner as well, and also the hairspray from the same range. Ah-mazing! So the Full Hair 5 products have 5 major benefits: Density, Volume, Strength, Anti Hair Fall & Root-Stimulation. All the goodies in one place! The shampoo boosts the hair volume, can reduce hair fall and help you achieve that awesome full hair that you admire on Instagram 🙂 The conditioner does wonders for your hair fiber, leaving it smooth and easy to comb. Last but not least, the hair spray provides 48 h style-control, it’s not sticky and does not weight the hair down (which is awesome). Also, it’s easy to brush out and has an extra strong hold. The Full Hair 5 range is dedicated for thinning and flat hair, so if you want more volume and a natural glow, you should give it a try. I am really happy with the results, and even though I’ve been using these products ever since last summer, I don’t think I’ll let them go too soon. The price is really friendly as well… I mean, you get a shampoo bottle of 500 ml for only 24 RON (about 5 euros). This will last you a few months, if you wash your hair every 2 or 3 days. Also, since I don’t use the hair spray too often, this will last me a long time. So it’s a fairly cheap investment. What are your favorite hair care products? 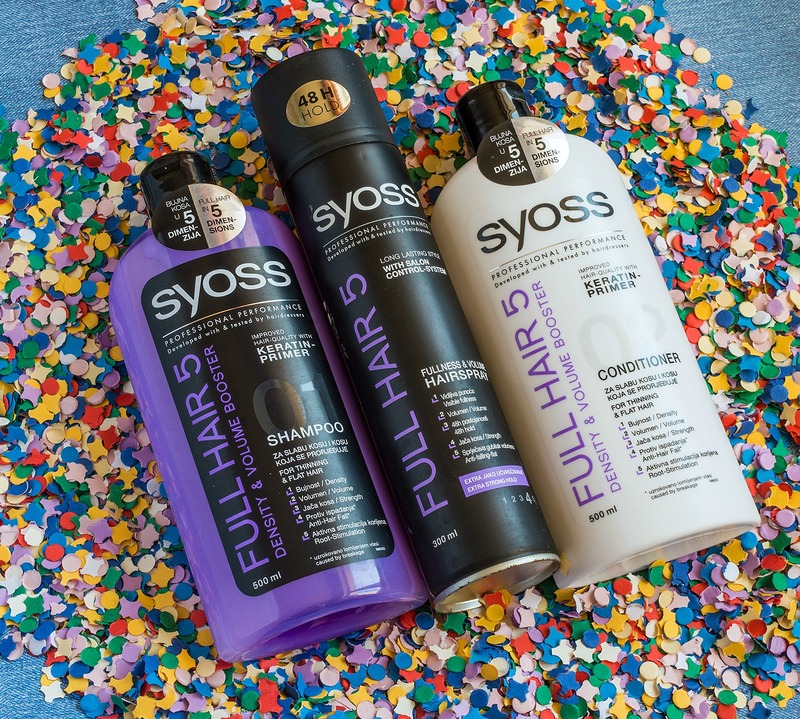 Have you ever tried Syoss Full Hair 5? I was seriously thinking what shampoo should I try next. I might actually give it a go. Thanks for the post! Draga Anelisa, am ales sa am blogul in engleza ca sa poata fi citite articolele de mai multa lume, atat din tara, cat si din afara. Daca nu iti place, e dreptul tau sa inchizi pagina si sa citesti un blog scris in limba romana. O zi buna!